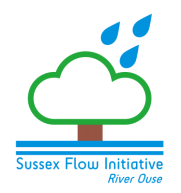 ​Since 2012, our Natural Flood Management (NFM) pilot project has evolved from the fledgling Trees on the River Uck (TrUck) project, to the become established as the Sussex Flow Initiative (SFI). 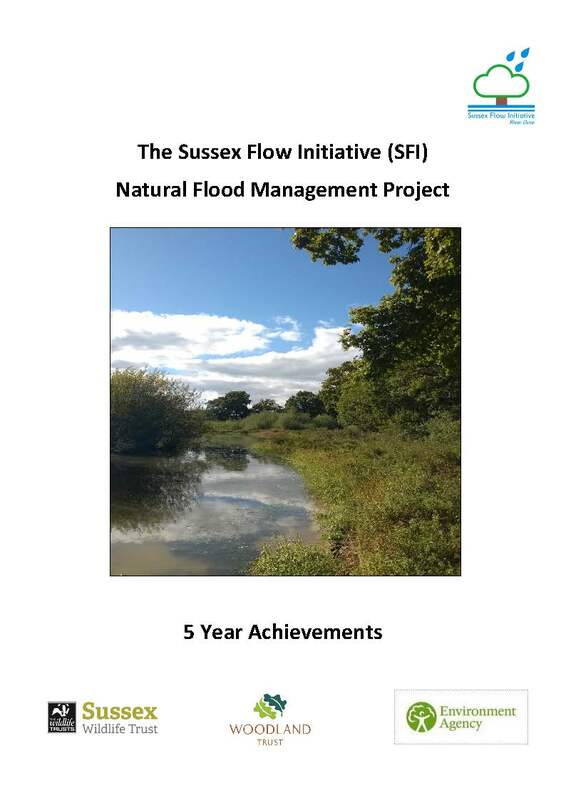 Our NFM work continues to grow; contributing to flood risk reduction and influencing the wider NFM community. The work in the Powdermill catchment got off to a fantastic start this year - we advised and worked with numerous landowners and organisations, and delivered the first NFM hedgerows and leaky dams in the catchment. Our activities in the Ouse catchment are continuing, and is becoming more diverse and making strides towards our five-year targets. The past year (2017-2018) has been a busy and exciting year for NFM both nationally and locally. During this time we have continued to build on the collaborations and communications with landowners and organisations within the Ouse catchment and further afield, to deliver an impressive (even if we do say so ourselves) amount of practical NFM. The end of year report and summary (below) highlight these achievements. 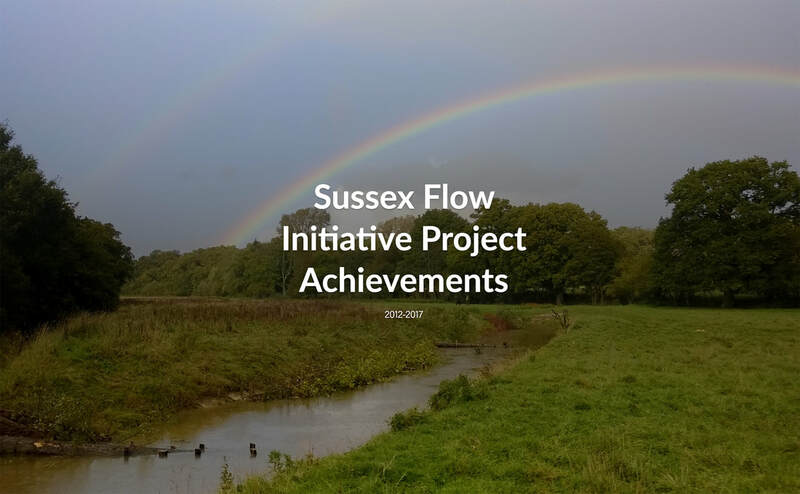 We are proud of what we achieved in the first five years of the project - helping you to reduce flooding by improving our environment. 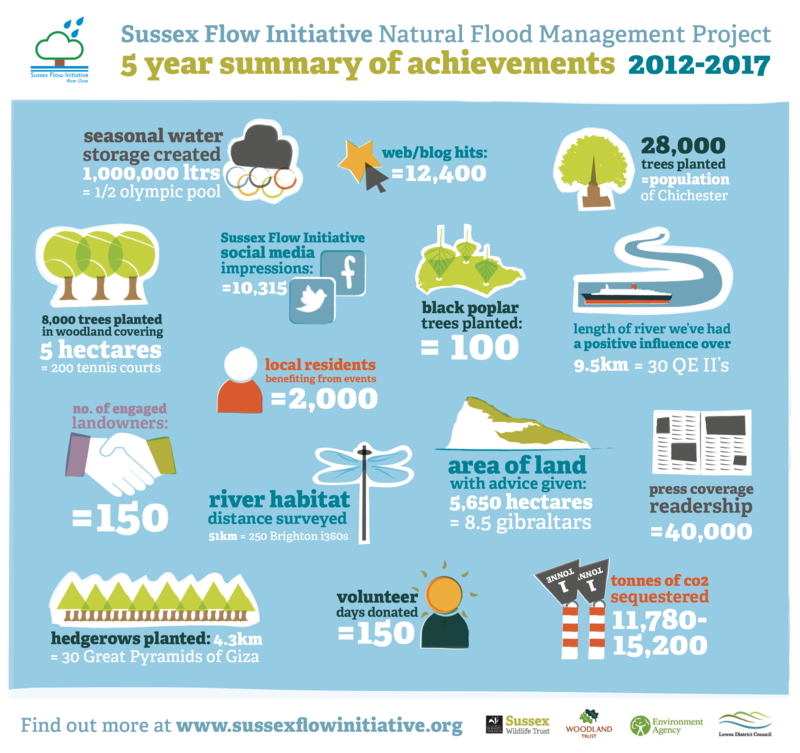 This infographic summarises some of the key things that we have achieved, and the reports below provide a summary in more detail. We hope that it provides some inspiration about how you can help reduce flooding and drought more naturally.